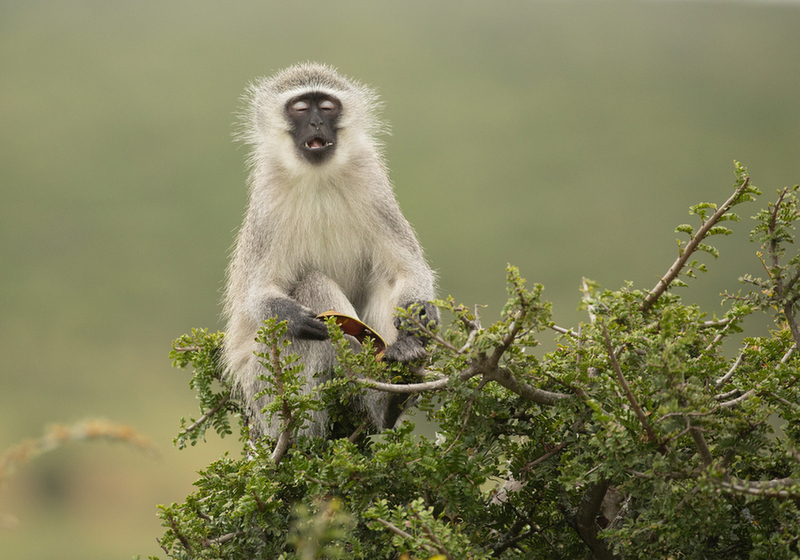 Here's a Vervet Monkey that was feeding on the seed pod in it's hand during our trip to South Africa at Addo Elephant National Park. I like the laid-back pose, Nate. This guy is really enjoying the seed pod. Impressive detail. Great image Nate. I like the fur detail and the kind of questioning look. it seems to be saying "is it all gone already?" Impressive image Nate, I can't imagine how exciting it would be to photograph primates like this in the treetops, wow. Lovely clean background sets off the monkey nicely here. Got to love that expression! Totally engrossed in enjoying the food and seems oblivious to anything else. Lovely shot and exquisite detail in the uncompressed view, Nate.